We are specialized in Internet of Things sector building on Microsoft Azure's technologies providing connectivity and usability to the devices. We specialize in small systems with wireless communications with all types of sensors; GPS, accelerometer ... design and carry out projects of all kinds of connected devices. We help you to adapt your products to connect to the cloud. We setup cloud services for data management. 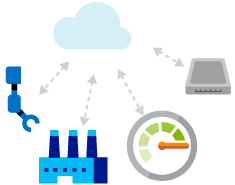 Microsoft Azure technologies used to manage devices connected either to receive and analyze data connected devices sent to the cloud as interact with them. We develop complete backend and frontend services. 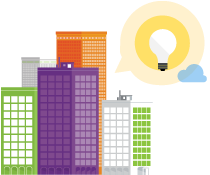 Develop and update your applications on the cloud. We progam systems that allow you to access, visualize and analyze data using data management technologies like Business intelligence, Machine Learning or predictive data. We design and implement mobile applications that connect to the cloud, with which you can interact with devices or information. ®2016 Xifring All Rights Reserved.